The fish that glisten like dollops of marmalade in the placid waters of the Dell have more than a little in common with plastic placards that hang from showers across the street in Memorial Gymnasium. The goldfish live in a retention pond built to improve the quality of Meadow Creek as it moves through its watershed. In Mem Gym, signs advise people to limit their showers to five minutes. Both reflect the University’s efforts to conserve resources and protect the environment. “Greening” and “sustainability” have gone beyond mere buzzwords to front-burner concerns around Grounds. “I don’t know of any topic or area of interest where there has been a larger groundswell of support and interest than there has been in the concept of sustainability and the environment here at the University in the last three years,” says Leonard W. Sandridge, executive vice president and chief operating officer of the University. The momentum on Grounds mirrors mounting concerns in society at large. High prices at the gas pump and headlines about global warming have thrust environmental issues to a new level of public consciousness. At a community briefing in June, Sandridge stressed that sustainability is not a project with start and stop dates. “Rather, what we are promoting is a culture,” he says. Or at least a renewed level. Remember the long gas lines during the energy crisis of the 1970s? P. Paxton Marshall, professor of electrical and computer engineering, does, and he also recalls how interest in the environment waned once the crunch eased. He sees the pendulum swinging again. “We’re in a golden period of environmental interest that we have to take advantage of and make what progress we can,” Marshall says. 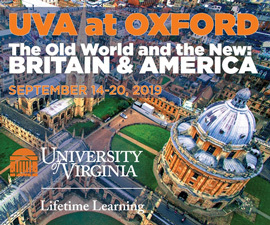 Progress at UVA might not be at a pace that suits everyone, but decisive steps have been taken. Buses trundle around Grounds burning biofuel and some sporting bicycle racks. Mounds of cardboard, paper and palettes head for recycling centers instead of landfills. Scrubbers keep boilers from belching emissions. And officials cast votes for a greener future. 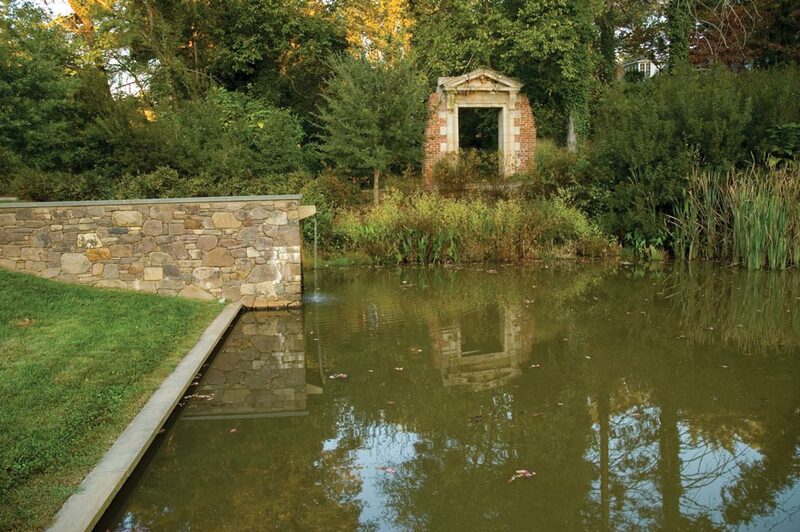 Greening of the UVa Grounds from UVA Magazine on Vimeo. Following an action by the Board of Visitors in February, every major new construction and renovation project now must meet the minimum standards of the U.S. Green Council’s Leadership in Energy and Environmental Design (LEED). Developed by a nonprofit group of business industry leaders, LEED has become a widely accepted set of standards to ensure that construction is environmentally responsible as well as economically sound. 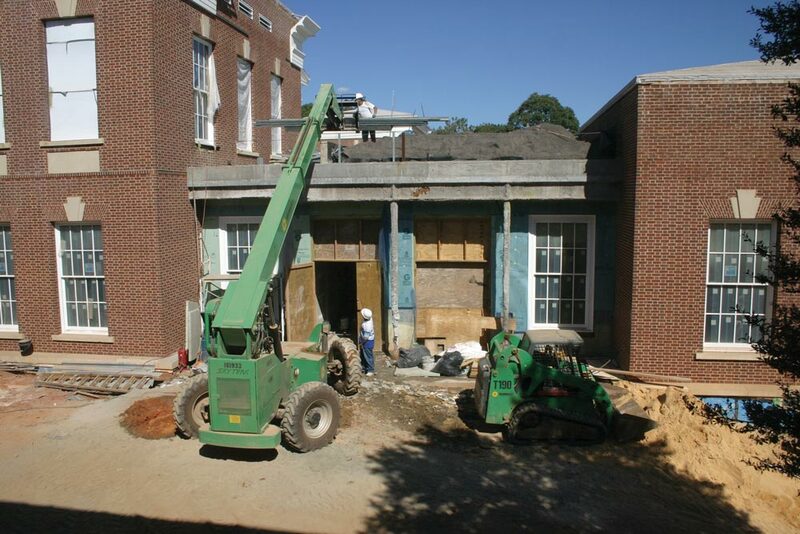 Meeting LEED standards at UVA may jack up construction costs by up to 1.5 percent, but the money up front is expected to save energy, increase productivity and provide other pluses down the road. Sustainability means different things to different people, from environmentally friendly buildings to improved health care. Taken literally, it can have negative implications. The University’s environmental science program, founded in 1969, was the first of its kind in the country. The School of Architecture also has played a seminal role on Grounds and in the national debate. Beginning with William McDonough, dean of the school from 1994 to 1999, and continuing under current programs, the school has thrust environmental issues into the University’s sensibilities, academically and institutionally, says Dean Karen Van Lengen. Students, too, have been a driving force. On a crisp autumn night two years ago, members of the Green Grounds Group ranged among buildings on a “lighting reconnaissance,” stalking places where lightbulbs burned needlessly. Offenders were reported to UVA’s Energy Management Program, a partner in the mission. Now, motion sensors help cut the waste. The following April, the group placed a plywood black cube between the Chemistry Building and Gilmer Hall with the structure’s dimensions—“8x8x8” feet—scrawled on one panel. The point? To represent one week’s worth of coal wasted by lights left on at night unnecessarily. “What we’re trying to do is touch all the different areas of the University on sustainability,” says Beth Kahley, a graduate student in architecture who is co-executive director of Green Grounds. 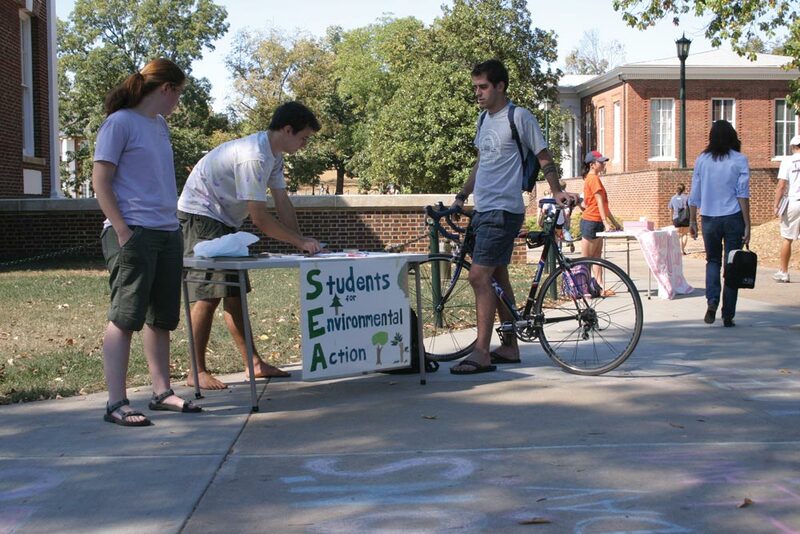 Student groups are pushing energy issues on Grounds as well as around the state. Conserving resources is not the only issue. Being green figures into admissions. “It’s becoming a selling point for prospective students to know that they’re coming to a university that is an environmental steward,” Kahley adds. What that future looks like can be glimpsed from the first documented assessment of the University’s initiatives. Released in January, the report by the Office of the Architect for the University provides a baseline of data and a vision of the future. It defines a “triple bottom line”—strategies that are socially just, environmentally responsible and economically sound. In transportation, for example, the University Transit System runs on a mixture of 20 percent biofuel and 80 percent diesel to reduce emissions and dependence on foreign oil. A concept called Transportation Demand Management is helping ease the glut of single-occupant vehicles through a variety of means, from encouraging car sharing to linking bike paths. In a sense, linking areas for efficient use is a concept that’s coming full circle. A student living on the Lawn can collar a professor a few doors down, walk to class in a nearby pavilion, be back in her room for a quick nap in the blink of an eye and later catch up with classmates in the shadow of the Rotunda. “The Lawn is the absolute paradigm of connectivity,” says David J. Neuman, architect for the University, speaking at the June community briefing. His office is coordinating sustainability issues at UVA and has a Web site devoted to initiatives (www.virginia.edu/sustainability). A Grounds Plan, which will inform the master plan to guide University projects for years, lists connectivity among six areas of focus. Neuman and other University officials also are working with an international engineering firm, ARUP, on a Sustainable Project Appraisal Routine that will enable teams to assess projects in terms of environmental, economic and social impacts. Some efforts already reflect “greening” initiatives. The south addition to Campbell Hall at the School of Architecture, for example, uses a louvered glass wall to protect the facade from sun and glare; the open porches provide informal social spaces as well as acting to ventilate and cool the building. Rouss Hall’s new addition will have two types of green roofs that will combine aesthetic appeal with environmental benefits, such as helping to keep the building cool and reducing water runoff. Elsewhere on Grounds, the South Lawn Project also includese plans for greenery on roofs. Across Grounds, the South Lawn Project anticipates being among the first LEED-certified building efforts at UVA. The design and materials emphasize energy efficiency, and rooftops will literally be green—as well as red and pink—with plants. On a sun-drenched day in August, students clapped and cheered as cranes moved sections of ecoMOD3 onto supports in the Fifeville-Castle Hill neighborhood in Charlottesville. The prefabricated module marks the third in a project that has combined the disciplines of architecture and engineering. Students and faculty—including Quale and Marshall—emphasized energy efficiency and affordability in the award-winning effort. In the process, they have transformed what was a deteriorating 19th-century structure into a cutting-edge home where computerized monitoring of energy use and water consumption provides convincing data. “We’ve shown we’ve built a tight, energy-efficient house,” says Kahley. Elsewhere around Grounds, Van Lengen works with colleagues in a Sustainable Communities Group that seeks to create and support communities modeled after concepts central to the Academical Village such as connectivity and long-term viability. Other faculty members are researching alternative and renewable energy as well as helping forge initiatives in environmental science, public policy, health care, the business world and the legal system. Jonathan Cannon came to the UVA Law School faculty in 1998 after serving as the Environmental Protection Agency’s general counsel. “Part of my job was to establish a formal program, which we’ve done,” he says. UVA’s Environmental and Land Use Law program has become a national leader, grooming graduates for environmental policy work. Projects include redeveloping contaminated sites and exploring the ability of various cultures to address global climate issues—all tackled with an interdisciplinary approach. The culture described by Sandridge already extends beyond Charlottesville. UVA alumni are carrying the banner as members of a group called Eco-Patriots. In September, they saddled up on their bicycles for a 3,800-mile cross-country trek to raise $30,000 for the Clean Air Conservancy. 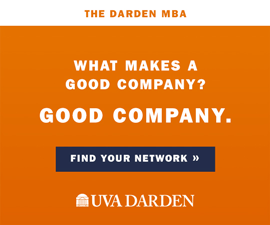 Van Lengen also sees UVA’s academic role extending far beyond Grounds. DesignIntelligence magazine ranked the School of Architecture tops in the nation in teaching sustainable design practices. “I think that the role of the School of Architecture is a leadership role in expanding the definition of what sustainability means in the future of the country,” Van Lengen says. Though the University has taken significant strides, it did not receive top marks in a College Sustainability Report Card issued by the Sustainable Endowments Institute earlier this year. The report card included assessments of nonenvironmental factors, such as endowment transparency, so UVA’s overall grade of D+ is misleading. The University’s efforts in “green building” received a B.
Ninety-five percent of undergraduate students are served by fare-free University transportation. Six major UVA projects totaling $364 million are seeking LEED certification. Conservation initiatives led to reduced water usage six years in a row despite a larger University population and the construction of new facilities. Usage dropped from a peak of 672 million gallons in 1999 to 427 million gallons in 2005 but rose about 8 percent from 2006 to 2007. Ninety percent of the University’s lighting systems have been retrofitted with energy-efficient models, saving the equivalent of $810,000 annually in energy costs. With improvements to heating and cooling systems, Facilities Management was able to save about 31,400 MMBTUs (1 MMBTU equals a million British thermal units) in energy in fiscal year 2006, saving more than $380,000. During this year’s Move-In Day effort in August, about 23 tons of cardboard were recycled by University students and employees. The University is not without its gold stars. Stormwater management projects have won national kudos. The recycling program also has received numerous awards—and created some surreal scenes. Picture the contents of a trash bin heaped on the ground in front of Old Cabell Hall and students picking through the debris. Such was last fall’s Dumpster Dive, used to illustrate how much recyclable material ends up in mainstream trash, and such is the commitment of UVA’s recycling team. “We have one of the few dedicated recycling staffs in the United States among colleges and universities,” says Sonny Beale, recycling program superintendent. 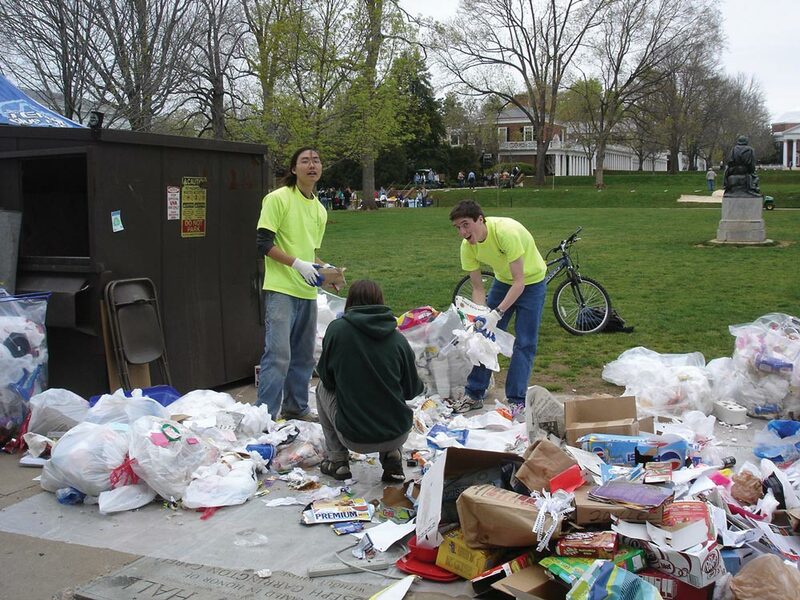 About 41 percent of the University’s waste is recycled or diverted for reuse, well above the state-mandated 25 percent. Though total tonnage dropped from 5,643 in 2005 to 4,882 in 2006, the market value skyrocketed. 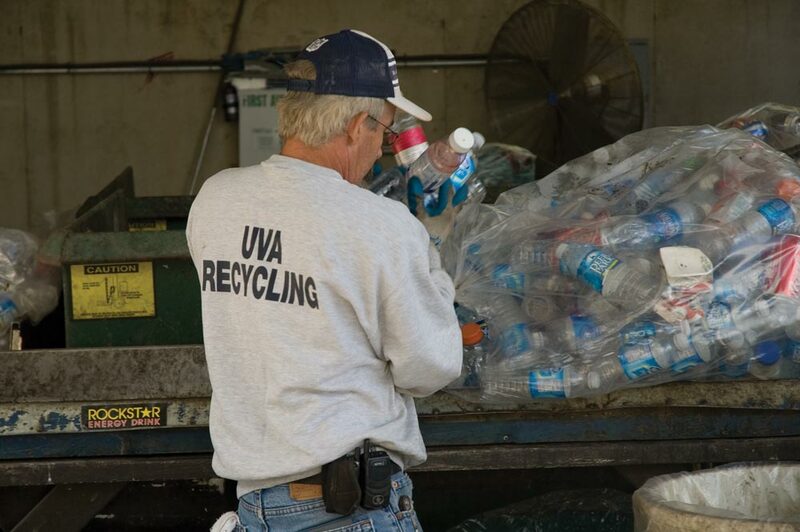 Last year, recycling saved UVA about $338,000, Beale says. His staff includes nine part-time student employees, some of whom plan careers in environmental areas. Lindsey Daniels, a fourth-year student, initially aspired to be an English teacher but now is minoring in environmental science and hopes to work full time in UVA’s recycling program after she graduates. Daniels oversees the Conservation Advocacy program, in which 36 student volunteers take the message of stewardship into dorms. Initially, the effort focused on first-year dorms, but now upper-class dorms are included. “It’s definitely extending, but the primary purpose is to educate the first-years,” Daniels says. She sees an increase in student awareness about sustainability and an eagerness to become involved. Still, the pace of institutional change is a bit frustrating for some. “There’s an element of resistance at the University, I would say,” Kahley says. “It’s not out of lack of desire or understanding that this is a critical issue. It’s just that this is an extremely large public institution, and the complexities behind making any sort of decision relating to money, which is what this comes down to ultimately, is a large, cumbersome, complicated process. To her and others at the University, environmental stewardship fulfills its founder’s legacy. Efforts around the University range from recycling old running shoes to researching alternative fuels. Here are some examples. Academic: The provost’s office is leading a major effort to develop and coordinate a curriculum in this area. Two proposals are being considered, a School for the Environment and an interdisciplinary institute, says Dr. Arthur “Tim” Garson Jr., executive vice president and provost. The proposals, which could be merged, are in the early stages and will be examined in coming months. Existing programs extend beyond the classroom. In addition to the collaborative ecoMOD project, architecture and engineering students are working with faculty advisers Phoebe Crisman, an architecture professor, and Paxton Marshall, professor of electrical and computer engineering, on the Learning Barge. The floating field station, when fully funded, will incorporate research and sustainable design principles to promote environmental education on the Elizabeth River. Administrative: The Office of the Architect for the University coordinates planning and heads a Sustainability Advisory Panel of students, faculty and staff who help guide initiatives. The University has a recycling manager, a sustainability coordinator, an energy program manager, an Environmental Management System team and a Transportation Demand Management coordinator on the staff. TDM coordinator Mike Goddard says University buses are being equipped with bicycle racks, a new BikeSmart map was produced this year and plans are under way for UVA Bookstores to carry bike paraphernalia. The EMS team helps groups around Grounds fulfill a University-wide policy that went into effect about three years ago, says Jeff Sitler, environmental compliance manager. Employees use a matrix to weigh the environmental impact of various business decisions, such as replacing a vehicle, as well as setting goals for improving everyday environmental practices. The Board of Visitors’ mandate about LEED certification was accompanied by another action. It approved a Grounds Improvement Fund so that a percentage of the money for a construction project will be used for general grounds improvement, particularly pedestrian, bicycle and landscape projects that support sustainable activities. Students: Two projects—Chuck It for Charity and the Sofa Shuffle—already provide ways for students to recycle furniture and other items. Students, faculty and administration officials also are working to develop a composting program for Observatory Hill Dining Hall and to redistribute leftovers to needy people in the community. The Student Council’s newly formed Environmental Sustainability Committee held a Green Reception with locally grown, organic food. Every leftover item was recycled or composted. Members of Student Environmental Action have been meeting with groups from other universities in the state to build a coalition named the Virginia Action Climate Network. Faculty: Initiatives such as the Sustainable Communities Group, the ecoMOD project, the Learning Barge, the Alternative Renewable Energy Group, the Markets and Policy Group, the Center for Global Health and others are applying interdisciplinary approaches to areas ranging from fuel cells to building design. In the Alternative Renewable Energy Group, for example, Robert Davis, chair of the Department of Chemical Engineering, has spearheaded efforts using a recoverable catalyst to make biofuel more economically and environmentally attractive. The Department of Environmental Sciences is conducting numerous long-term research projects that range from the Shenandoah Watershed to the Eastern Shore. And the School of Engineering and Applied Science is holding a series of lectures this fall about global energy issues.